A stylish area rug or exotic Oriental carpet can add an entirely new element of style and beauty to your home. With an incredibly wide variety of types, materials, and patterns, there is a rug to fit the décor of just about any room. Of course, rugs and carpets, even decorative ones, are subject to a lot of wear and tear and need to be meticulously maintained if you want to preserve their vibrancy and allure. Here are some tips for keeping your rug looking bright and new. Many area and Oriental rugs are made of delicate, high-quality material. When vacuuming, it is important to handle the carpet gently, not focusing suction in any one spot too long, and working in a careful middle-out pattern. If there is loose fringe, use only a small suction tube, not the beater bar. Adding a protective pad underneath your rug reduces the impact of feet and furniture by providing support and helping to disperse weight. It can also make the rug feel softer to passing feet. Be sure to rotate the direction of your rugs occasionally to avoid unbalanced wear and tear. This is especially important for rugs used in high traffic areas. It doesn’t take long for steady foot traffic to leave noticeable tracks in your nice rug. Spills are inevitable, so dealing with them properly is the key to avoiding long-term stains and keeping your carpets looking new and fresh. There are specific processes for different liquids but, when in doubt, you want to follow these steps. Following these handy tips can help keep your rugs looking great even as they age. Of course, to truly maximize their richness and elegance you should also have your rugs professionally cleaned and inspected at least once per year. 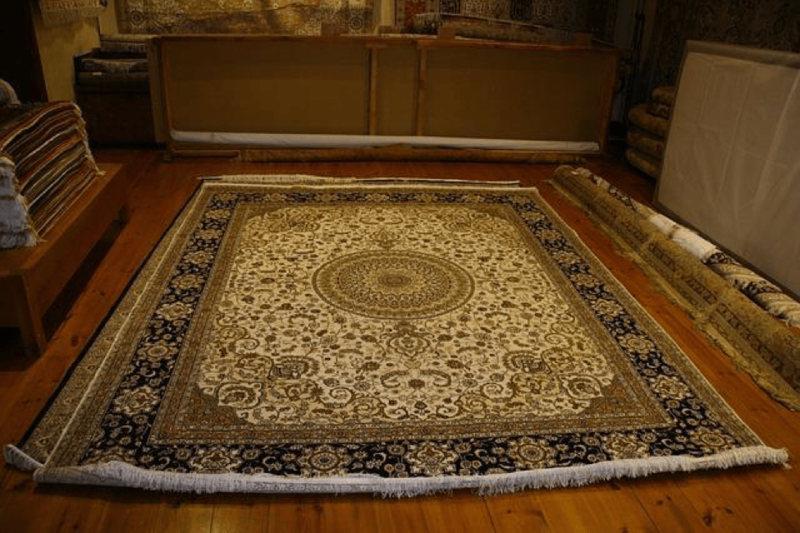 The experienced rug professionals at Bebirian Rugs are available to handle all your South Jersey rug repair and cleaning needs.